You say grigio, I say gris. You think thin and crisp and I think full and rich. And that's just within BC. Poor BCPG. If any grape can claim identity crisis, it’s pinot gris. A white mutation clone of the black pinot noir, gris' skin colour varies wildly, sometimes even within the same bunch. Gris, French for grey, references the typical greyish-blue fruit, though the grape can also range from a tanned pink to plummy black and even very pale rose. 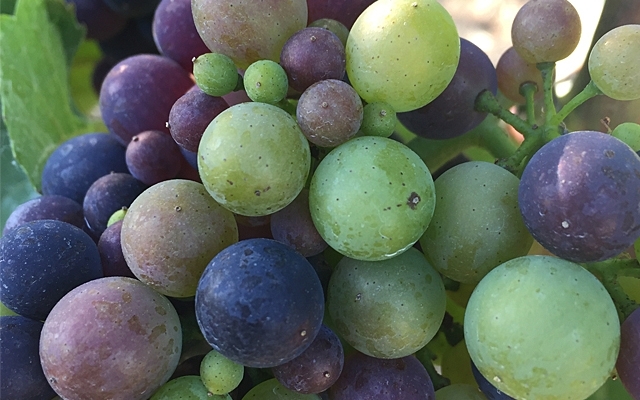 In the glass, pinot gris also varies in hue, from palest yellow to deep golden to blushing salmon, and its skins and pigment are often appreciated in orange wine. Here are a rainbow of top, fresh, local pinot gris we've tasted over the past year, ideal to drink with the return of spring.